What is the Difference Between an Accountant and an Auditor? An individual who enjoys working with numbers may enjoy working as an accountant or an auditor. What does it take to become one of these professionals? Read below and learn the difference between an accountant and an auditor. To work as either an accountant or an auditor generally requires completing at least a bachelor’s degree program in accounting or a similar field. Some employers prefer master’s degree in accounting or business with a specialization in accounting, according to the U.S. Bureau of Labor Statistics (BLS). If these professionals wish to become CPAs (certified public accountants), they must complete additional training and pass a 4-part CPA exam. In most states, this involves completing at least 150 semester hours of college study; these hours are 30 hours beyond a bachelor’s degree. Accountants and auditors can also obtain field-related certifications to improve their earning potentials. 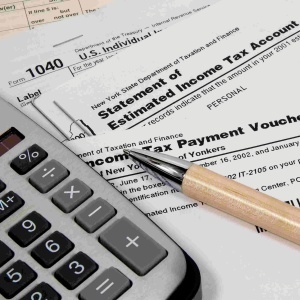 Requirements for CPAs vary from state to state, according to the American Institute of CPAs. To maintain their licensure, CPAs must complete continuing education. Similarities Between Accountants and Auditors? The terms accountant and auditor are often used interchangeably, although they are different in several ways. Both of these individuals take care of a company’s financial data. Both of these positions require knowledge of accounting and completion of at least a bachelor’s degree. An auditor is generally an accountant. Accountants take care of a company’s day-to-day financial transactions. Their duties usually include payroll, tax deductions, receiving payments, billing customers and reconciling the company’s books. An accountant is generally a full-time employee for a specific company. Both of these individuals have the same goal, which is to ensure the financial data is correct. An accountant may work for a specific company, but an auditor often is hired to come into the company and check their financial books for accuracy. While the accountant is the one who enters the financial data, the auditor is the one who checks the accountant’s work to ensure its accuracy. One major difference is that while an accountant may choose to become a CPA, one must be a CPA in order to become an auditor. Because of the additional education and training required to be a CPA, an auditor is generally going to have more training and experience than an accountant. Accounting is done on a daily basis; however, auditing is usually done quarterly or annually. The accounting process is done by employees of the company, whereas auditors are usually an independent body that, while knowledgeable of the company’s finances, do not work specifically for that company. Regardless of which of these careers an individual may choose, he or she can expect excellent job opportunities once the required training is completed. The BLS predicts that accountants and auditors can expect to see an employment growth of 16% between 2010 and 2020. As of 2012, these professionals earned a mean annual wage of $71,040, according to the bureau. If you find working with numbers and making them balance exciting and challenging, these are definitely two careers worth checking into. Here is a look at “Top 30 Accounting and Finance Blogs“.